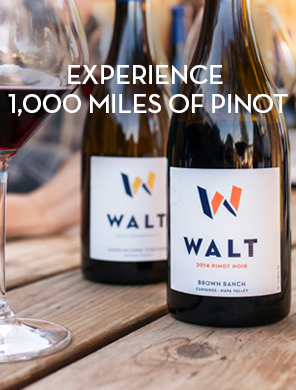 Appellations can range from 50 miles to hundreds of miles across a variety of terrains. Within these appellations, our vineyards have an array of soil series. 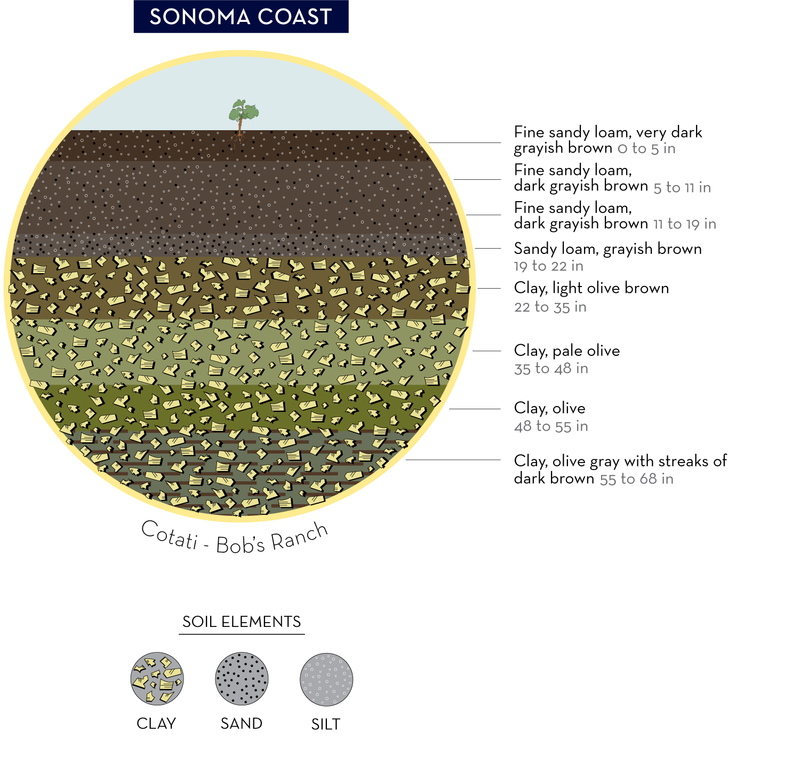 Even in each vineyard, there are a range of different soils. Our goal is to illustrate the main differences of our five appellations. We hope that with these illustrations you can see, and ultimately taste, the differences of our wines of a place. The Willakenzie series consits of moderately deep, well drained soils formed in loamy colluvium and residuum derived from sandstone, siltstone and tuffaceous materials. 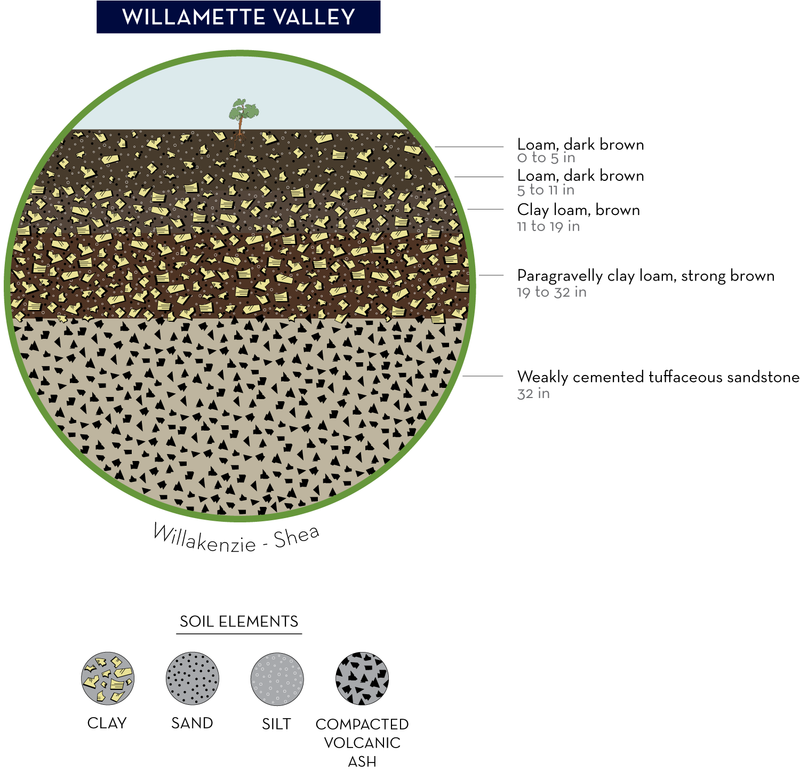 Willakenzie soils occur on smooth, convex hills and foothills. Fine-loamy, mixed, active. The Yorkville series consists of very deep, well drained soils that formed in material weathered from chloritic schist and other sedimentary and metamorphic rocks. Yorkville soils are on hills and mountains. Fine, mixed, superactive. The Perrygulch series consists of very deep, moderately well drained soils formed in alluvium derived from mixed rock sources. Perrygulch soils are on river terraces. Fine, mixed, superactive. The Cotati series consists of deep, moderately well drained soils formed in material weathered from soft sedimentary rocks. Fine, mixed, active. The Goulding series consists of shallow, somewhat excessively drained soils formed in material weathered from metavolcanic or metasedimentary rocks. Goulding soils are on mountains. Loamy-skeletal, mixed, active. The Goldridge series consists of deep, moderately well drained soils formed in material weathered from weakly consolidated sandstone. Goldridge soils are on rolling uplands. Fine loamy, mixed, super-active. The Haire series is a member of the clayey, mixed, thermic family of Typic Haploxerults. 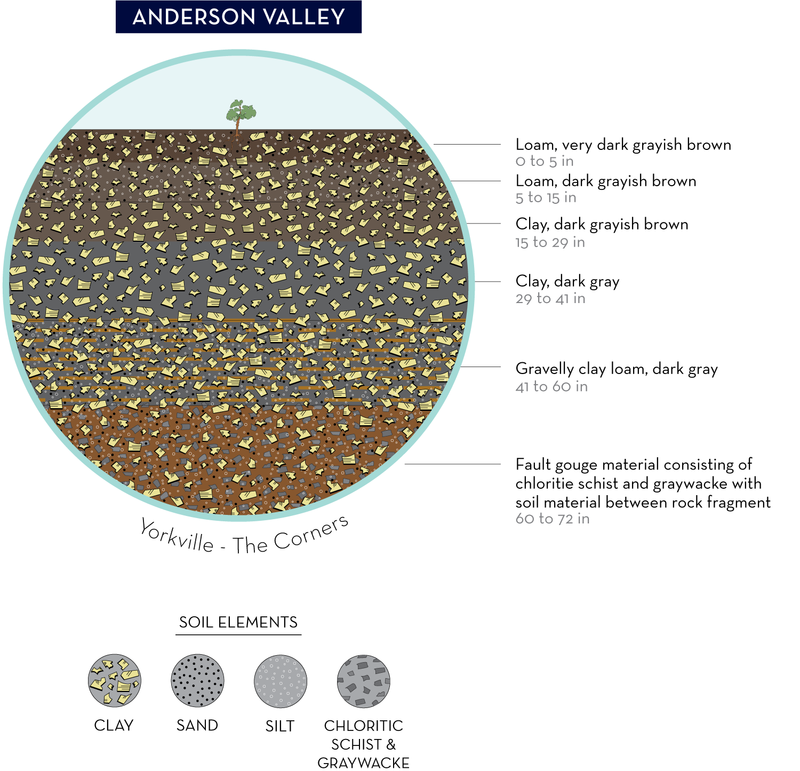 Typically, Haire soils have gray and grayish brown, neutral, light clay loam A horizons; pale brown, clay B2t horizons; and pale yellow, gravelly clay loam C horizon. Fine, mixed, super-active. The Tierra series consists of deep, moderately well drained soils that formed in alluvial materials from sedimentary rocks. Tierra soils are on dissected terraces and low hills. Fine, smectitic. The Gazos series consists of moderately deep to bedrock, well drained soils that formed in material weathered from sandstone and shale. Gazos soils are on hills. Fine-loamy, mixed, super-active. The Chualar series consist of very deep, well drained soils that formed in alluvial material from mixed rock sources. 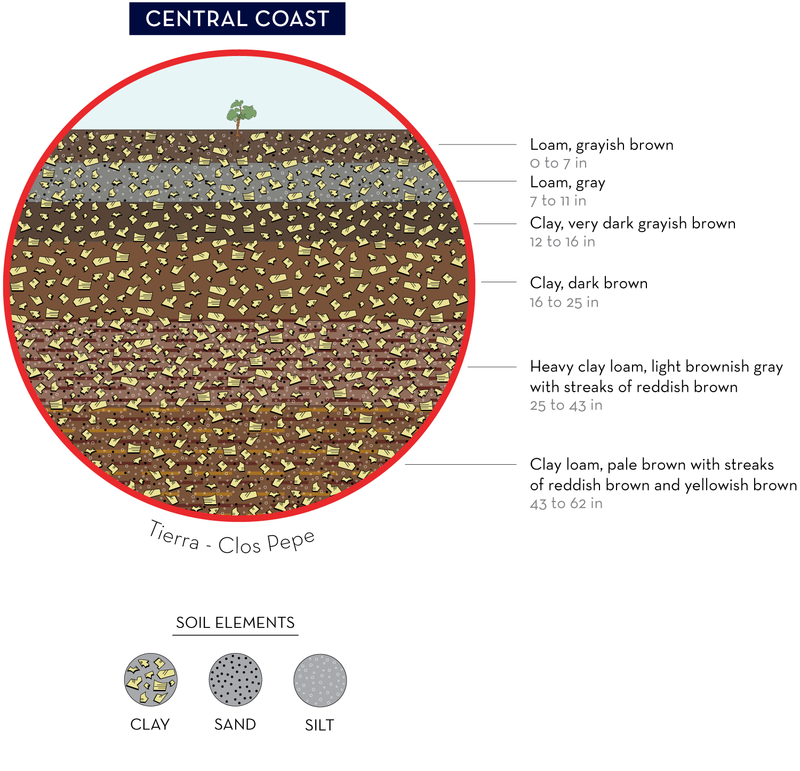 Chualar soils are on terraces and fans of coastal areas. Fine-loamy, mixed, super-active. 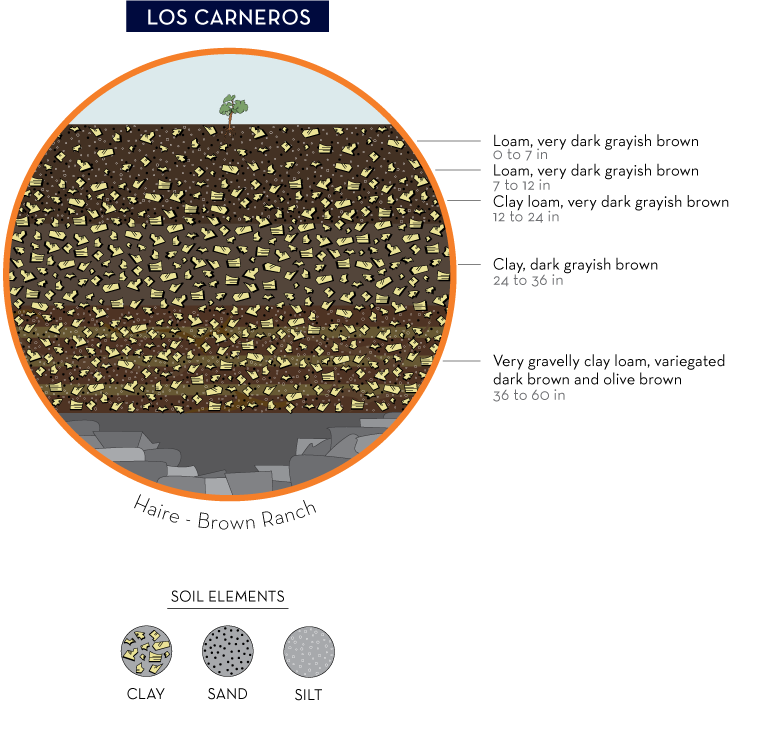 The Arroyo Seco series consists of deep, well drained sandy loam soils that provide a hospitable home for the vines. Arroyo Seco sandy loam soils could easily ripen a crop three times the size of Rosella's typical two to three tons per acre yield.